The EI2C peripheral and card provide a general purpose I2C interface for your robot or other automation. Reads and writes to the I2C bus are organized as packets that can have up to 13 data bytes. You can intermix reads and writes but each transition from read to write (or back) takes one byte from the 14 data bytes available. Read responses are available from a separate resource and each read response indicates success or failure of the packet. The I2C interface card supports clock-stretching and has clock rates of 400 and 100 KHz. The card must be the only master on the bus. config : The clock rate in Kilohertz as a single integer terminated by a newline. Valid clock rates are 400 and 100. 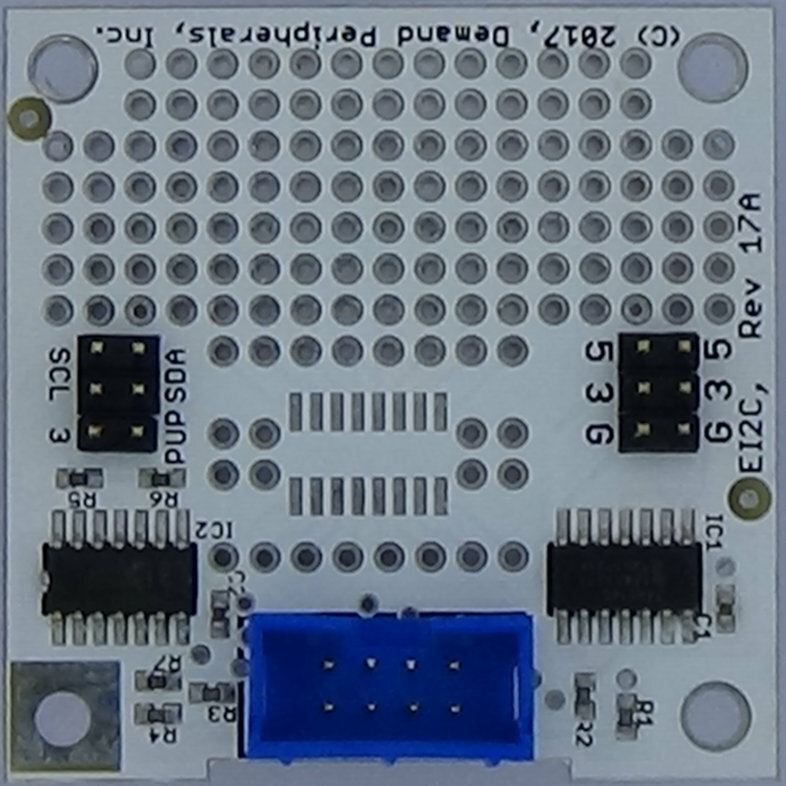 The dpget command provides both read and write functionality for the EI2C peripheral. Additional bytes on the dpget command line are sent to the I2C device and each byte sent gives another hex value in the response. Responses start with either an 'A' or an 'N' to indicate whether all bytes were ACK'ed. The second string in the response is the hex value of the address. The remaining hex values are the read responses or an echo of the data written. The 'w' and 'r' characters indicate a write or read response. A newline terminates the response.